When he’s not doing science, Olaf keeps busy reading and brewing beer. His ambition as a brewer is to make a beer with a deep beer flavor but really low alcohol percentage. Olaf keeps a brewing diary that holds 20 years worth of notes on each batch he has ever brewed. Olaf wants to understand all of the mechanisms by which small molecules can manipulate the functions of cells or whole organisms. How do these molecules work and what are they doing? These questions are particularly relevant for pharmacology and toxicity. As a high school student, Olaf was interested in math and physics. However, his father was a very good mathematician, so that ruled out math for him in terms of a career. Olaf read voraciously and became interested in cybernetics control systems and computer science, but the field barely existed at the time. He volunteered at a hospital to explore working in a clinical setting. Afterwards, he started medical school. While there, a superb scientist turned Olaf’s attention towards research. Olaf had an opportunity to conduct research on the lipid bilayer with Jens Christian Skou (now a Nobel Laureate). The project he was assigned was difficult but sounded very exciting. Unfortunately, Olaf didn’t know much about lipid bilayers and there were not many others around who did. He had a rocky start, and unfortunately joined the ranks of the three or four others who had attempted the project before him. With the help of lab members and colleagues, Olaf discovered that small molecules can change the preferred spatial arrangement of membrane proteins. He witnessed the the outcome of this first exciting experiment firsthand, and it was an amazing moment where he realized that everything he thought about a certain part of the world was wrong. In 1991, Olaf traveled to Bangalore, India shortly before the start of the Gulf War. He was attending a meeting on membrane transport and lipid bilayer structure, and the science was excellent. However, there was a lot of apprehension before and during the meeting about rising tensions in the area and travel safety. Many of the meeting attendees cancelled or returned home early, but Olaf and a hardy group of scientists remained. Their hosts in India were phenomenal and took very good care of them. It was also interesting to see the start of the war through the eyes of a different culture. A lot of people in his lab are foodies, and they often go out together to enjoy delicious cuisine. They particularly like to visit Rockefeller Faculty Club for lunch to celebrate the acceptance of manuscripts. In general, his lab interacts like a family where each member is bringing a different perspective and they can learn from each other. Always distinguish carefully between what is interesting and what is important. Olaf’s research uses a combination of single-molecule electrophysiological and ensemble fluorescence methods together with theoretical/computational tools to understand the energetic coupling between membrane proteins and their host bilayer. A current focus of his studies is the mechanistic basis for the pervasive perturbation of membrane protein function by small hydrophobic molecules, including many molecules used to manipulate biological function. The underlying principle is simple – membrane proteins and their host bilayer must adapt to each other in order to minimize the exposure of hydrophobic groups to water, and this adaptation has an energetic cost due to the reorganization that occurs within the bilayer and within the protein. Because hydrophobic molecules can distribute freely between the aqueous and membrane phases, as well as radially around a membrane-embedded protein, they reduce the energetic cost of the adaptation between membrane proteins and their adjacent bilayer, which provides general mechanism for the widespread regulation of membrane protein function by small biologically active compounds. 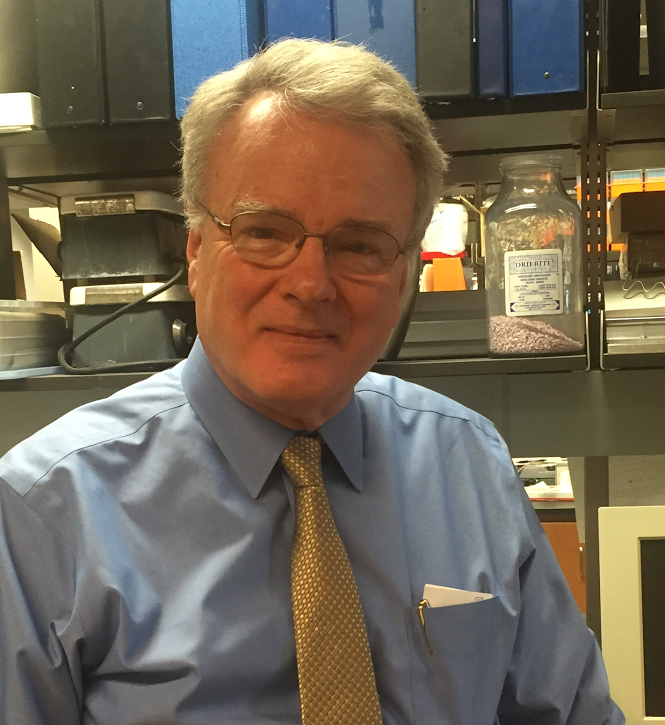 In addition to his research, Olaf is involved in the training of physician-scientists; he is director of the Weill Cornell/Rockefeller/Sloan-Kettering Tri-Institutional MD-PhD Program, and he served as president of the National Association of MD-PhD Programs and was the founding chair of the Association of American Medical Colleges’ MD-PhD Section. He has also served as Editor-in-Chief of the Journal of General Physiology.